Marriage must not be entered into lightly and the reasons for getting married must be strong and reflect the commandments of Allah. When the reasons for marriage are not based on what Allah expects from us to have out the relationship, then with time the relationship will get very weak. This will eventually lead to breakage of marriage. This leads to the reevaluation of the reasons for marriage. There is a tradition of the Holy Prophet (PBUH) which says to marry a woman for things that include her beauty (and this is not outward beauty for who are we to judge the creation of Allah, but her inner beauty), her wealth, but most of all, her relationship with Allah. THAT should be your main reason to get married. The fact that will your spouse take you closer to Allah with each passing day? Or will you just look at material things in your spouse, marry them and then emerge with disagreements and arguments at every step? When little arguments escalate into big ones and they go till divorce, then know that you did not marry for the right reasons for if you had, Allah would have blessed your marriage. 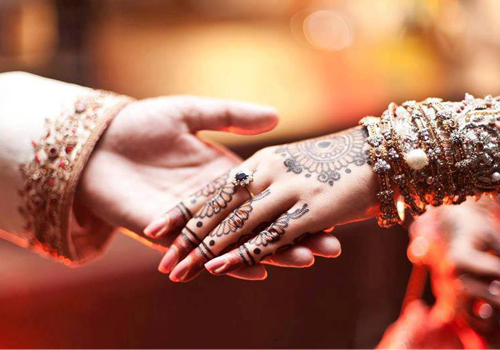 So make sure, before you tie the knot, to marry for the reasons that Allah has mentioned in the Quran and those that the Holy Prophet (PBUH) followed. Does your prospective wife pray 5 times a day? Do you see yourself holding your hand with this man in the future and going to Jannah? If the answer to these questions is yes then you have done a great job evaluating your reason for marriage. But if not, you are in trouble. No husband and wife in Islam should ever be in a situation to have to reevaluate why they end up with the person that they end up with. They should embrace the relationship each day, explore the varieties it has to offer and lead to happiness and love, not insecurities and arguments. Make your reason for marriage supreme and based on the will of ALLAH and the rest will fall into place.